The first thing I want to share is the links to Welsummer Groups. 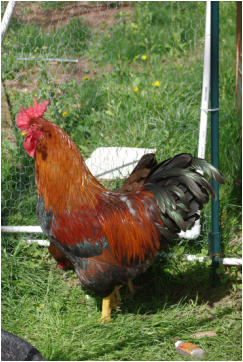 The Welsummer breeders are probably the friendliest most supportive group of chicken breeders around. If you are interested in breeding these birds, join these groups! How long have they been breeding? What traits are they breeding for? Can you see pictures of their birds (multiple generations if possible)? The picture to the right is one of my Welsummer Hens. 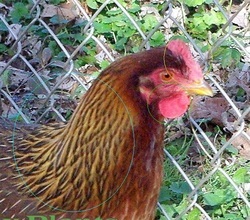 Take a close look at the coloring of her hackles, her shape and her comb. Compare the pictures of the two Welsummer Hens below. The hen on the left was one of my first Welsummers. 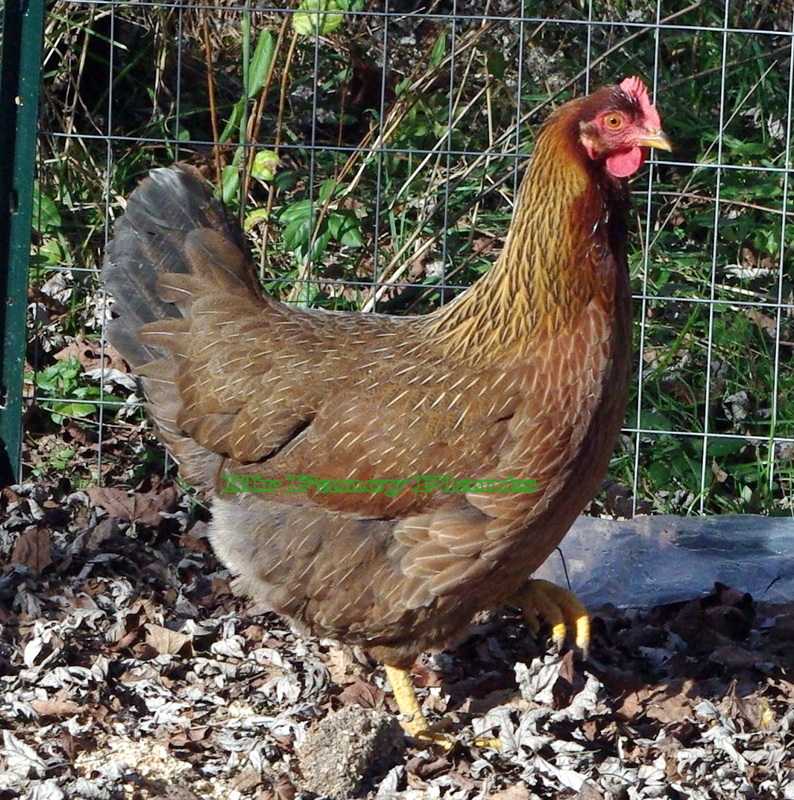 She was purchased as a chick from a hatchery. When I looked at her, I thought she was beautiful, until I saw what a quality Welsummer looks like! The picture on the right is one of my current Welsummers. Notice the overall color of her feathers, especially on her chest. Finally, note the length of her tail and the shape of her body. If you just want a a darker eggs and don't care about the quality of the bird, hatchery is the way to go. Hatchery birds will likely lay more eggs as well, since that's what they are bred to do, but they are not bred to the SOP for Welsummers. Even with heavy selective breeding, its doubtful you would ever get the genetics of the offspring from the bird on the left to look like the bird on the right. Now look at two roos. At first they look very similar (sorry for the photo quality) Look closer though. 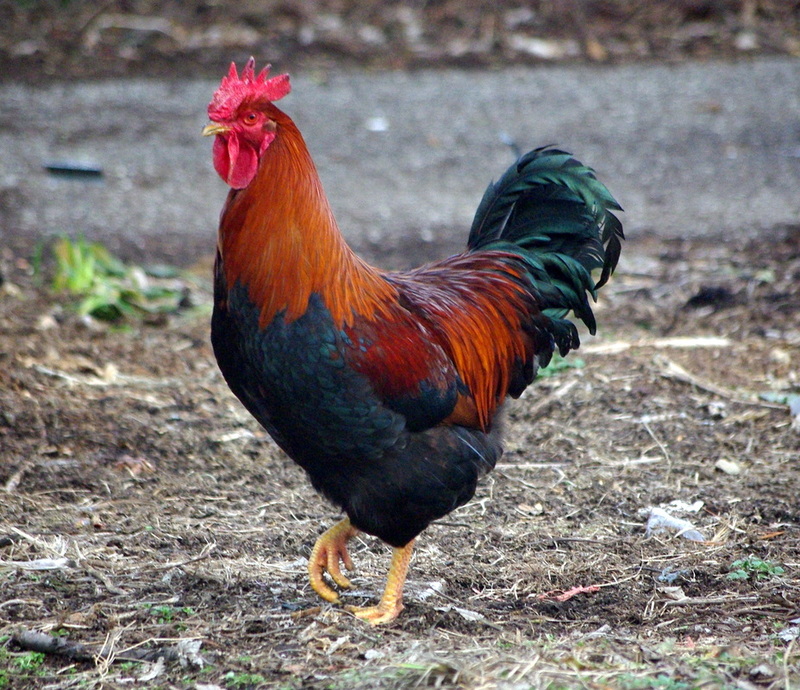 the one on the left has white fluff at the base of the tail, an odd shaped comb and very long wattles. His neck and head are not proportionate to his body. He also carries his wings lower than he should. The one on the left is from a hatchery, the one on the right is one of my current birds. I will point out that I still have issue with grey fluff at the base of the tail. I'm also trying to get a more rounded chest. Here are some of my eggs. Notice the rich reddish brown/terracotta color. Some eggs have small spots like the one on the left, some will have bigger spots, and some have no spots at all. I prefer the non-speckled, but I enjoy the variety. The one on the right has a hole in the end, it was the first egg laid by this hen and I don't think she enjoyed it much! Since then, she has stopped this habit.